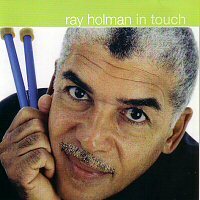 In Touch, Ray Holman tells us, reflects his "new-found freedom to explore genres other than steelband panorama music. He conceived the compositions as a combination of pan and tenor sax doubling the melody to create a texture of reed and steel. A Hammond B3 organ is added to the basic rhythm section because he "...always felt [the organ] complements the pan". Musicians would understand the explanations. I listened to the CD twice in succession the first time and played it almost everyday since it came into my hand. While I would not even think of contradicting the maestro on his own work, Ray Holman has been exploring from day one, as it were. Those who know say so. Steelband music recording producer Simeon Sandiford's favorite pan selection is Ray's "My Band" composed in 1988. He expressed his opinion in 2003 after listening to a catalog of one thousand tracks over fifteen years. Many of the features of this choice could be found in "In Touch": "subtle nuances and inner detail in its balanced, cohesive and transparent soundstage. Ray's immaculate phrasing, musicality, ...seductive introduction[s], [being] innovative…." Equally applicable I say. Perhaps Ray just wished to break away - unintended pun - from big pan, cacophonous as it could be at times, hence his opening remarks. The eight compositions are inspired by people and places familiar to Ray and show him experimenting, as he says, with different sounds while "… keeping in touch with my rich Caribbean roots". Pan jazz, reggae, and calypso, mellow sounds of our happy music. Thank you Ray for being In Touch.